The click of leather on willow, the gentle buzz of a bee and the lazy days of summer. Well, that’s how it should be! However, being at the behest of the gulf stream (apparently) Britain is bathed not in sunshine, but in rain! So as I look at what delights to try and prepare for today, I am not yearning for the cool delight of a summer salad…today is soup weather. A Smoked Tomato and Chili Soup. Simply add the ingredients to a saucepan and cook for 20 minutes until the lentils are tender. Blitz with a hand blender and serve. 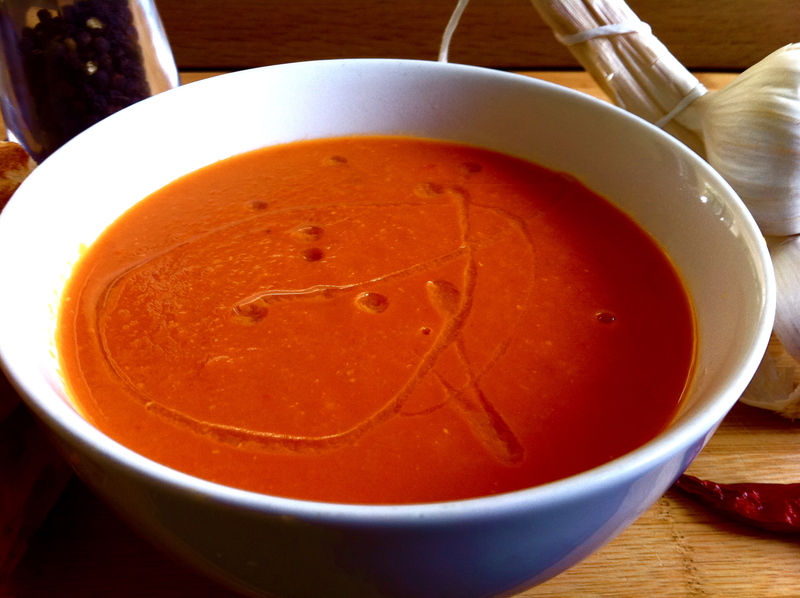 To be honest, this is a very tasty and delicious soup made from chicken stock from the roast and so as much as I am missing the sun; this very healthy, cheap, delicious and quick soup has cheered my soul. If you are reading this and bathed in sunshine then, do spare a thought for those in Britain who are eating soup!